The cleaning of leather and suede is a craft practiced by skilled artisans. We carefully grade and inspect each garment prior to cleaning. 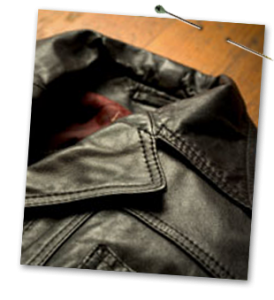 Unlike cleaning normal fabrics the cleaning of suede and leather requires extensive work post cleaning to restore the garment to its original condition. During cleaning the oils within suede and leather garments are removed. Part of the processing involves re-oiling the skin to keep it supple. During re-oiling the skin can become a few shades darker. For this reason you should always clean garments that are part of a set together. Wedding Gown Special! $25.00 off any Cleaning or Preservation! Stop by today! WASH AND FOLD MADE EASY! Copyright 2019, Sudbury Steam Cleaners. All rights reserved.